Brass, round plate _" x 3 _" in diameter and four wood screws included. 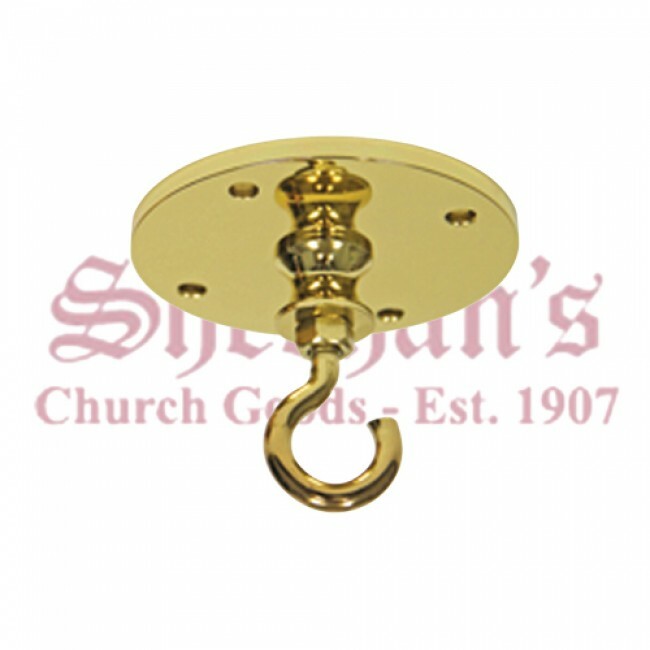 High quality Ceiling Hook, available in either Polish Bronze or 24k Gold Plate finish. The ceiling hook round plate measures ¼" by 3 ½" in diameter and it comes with four wood screws. Steel chain for hanging sanctuary lamp is priced per foot with open side link 1 ½" long, and also available in either satin bronze or polished brass finish. Great for any size hanging sanctuary lamps.